Every year the world loses more and more animals to extinction but if humans can make a problem, we can fix a problem. 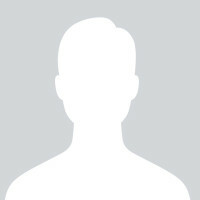 As the CEO of Zoos Victoria, I pledge to either be a zoo presenter for a day, spend an entire day painting the faces of kids who come to the zoo, or blow bubbles for an entire AFL game to show why we should blow bubbles, not balloons. There’s nothing more daunting than facing a group of eager school children and animal lovers as they pepper you with questions about the ins and outs of every animal in the zoo but educating our zoo visitors is key to saving wildlife from extinction. What better way to teach children about saving wildlife than to turn them into the animals they can save? I’m not an artist, so turning a youngster into a Lord Howe Island Stick Insect or Guthega Skink is going to take some practice. Balloons and their attachments are one of the most identifiable objects found in the stomachs of baby sea birds so for the past 12 months we’ve been asking people to blow bubbles, not balloons outdoors. I promise to blow bubbles for two hours straight at the MCG – no matter how dizzy it makes me! Voting has closed. The winning challenge is Be a Zoo Presenter for a day . Jenny is raising money to support the Eastern Barred Bandicoot. Voting is now closed. 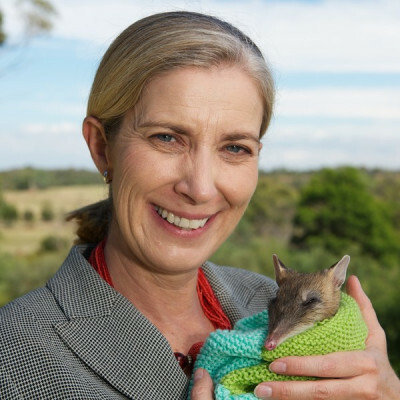 Jenny's pledge is closed for voting, but you can still support Jenny and the Eastern Barred Bandicoot by making a donation using the 'Make a Donation' button above. Jenny has pledged to complete the most popular challenge — Be a Zoo Presenter for a day . 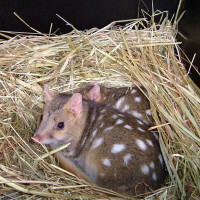 Help Jenny raise money for the Eastern Barred Bandicoot. The bandicoot needs your help to crash through extinction with Zoos Victoria. 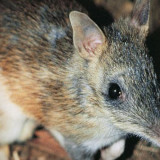 Support Jenny Gray by donating directly to the Eastern Barred Bandicoot.